Since coming to Mizzou, as I have enumerated in previous posts, Judaism has become a central part of my daily life, even without weekly Hebrew School and a synagogue to belong to. To recap quickly, many of my friends at Mizzou are Jewish, and more Jewish kids lived on my floor last year than were in my graduating class. As much as a transition as this has been for me, I also see Judaism transitioning into the mainstream, especially in music. Aside from the traditional cantor-like chants, there now exists a whole branch of popular Jewish music, most notably in parody form. I am delighted to see my religion make it into the mainstream, especially because these songs are genius. I am glad Jewish young adults are finally taking the chance to show the world the humor and intricacies in our religion, whether it be through music, magazines, t-shirts or satire. 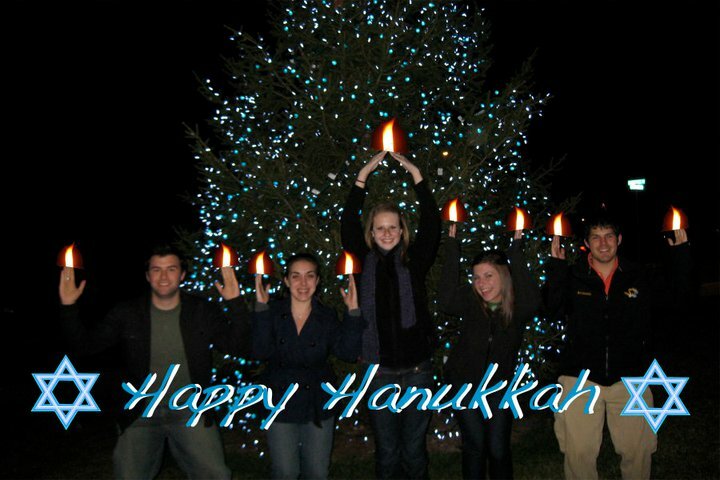 Now, no matter who I encounter at Mizzou, being Jewish doesn’t feel like the circus act it was in high school. Sure, you always meet the occasional sheltered kid, but most people have friends who are Jewish, or have some association to the Jewish fraternity here, AEPi. At the very least, they have heard some of the songs listed above. Of course, you still have to wary of people who are just into fads, want to trivialize the important aspects of Judaism or are just plain uninformed (read: Britney Spears). No matter how “cool” Judaism becomes, we can’t ignore the hate and discrimination that exists for Jews all over the world, and the conflicts that arise over religion every day. Do I feel cool being Jewish? Sometimes. It unfortunately depends on how other people respond. At least at Mizzou, I’ll never be the only one trying to figure it out. Mark Twain's fifth-floor Jews, Plus Kathryn.